I got these Elsie pumps with the enamel heel for 30% off and J.Crew is still running a promotion for 30% off your purchase of $200+ or 25% off your purchase of $100+ with the code SHOPMORE. Please refer to my previous review of these pumps here. They also come in an all suede version. I took size 7 because I found that they run true to size to half a size larger. I usually take a half size up for heels but these had a noticeable pinky sized gap in the back of my heel when I tried on size 7.5. The 3.5″ heels are very comfortable for work although they don’t have as much padding for the balls of your feet. 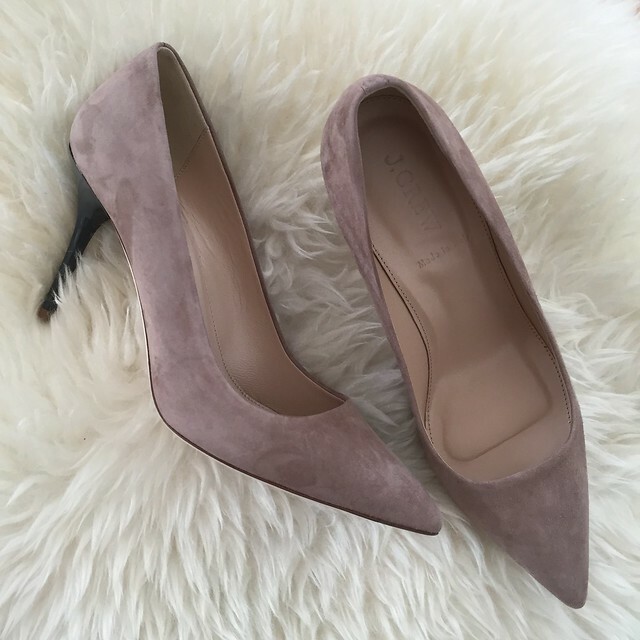 I can’t wait to wear the Elsie pumps fall and if they go on further discount later in the season then I’ll try to pick up a backup pair. 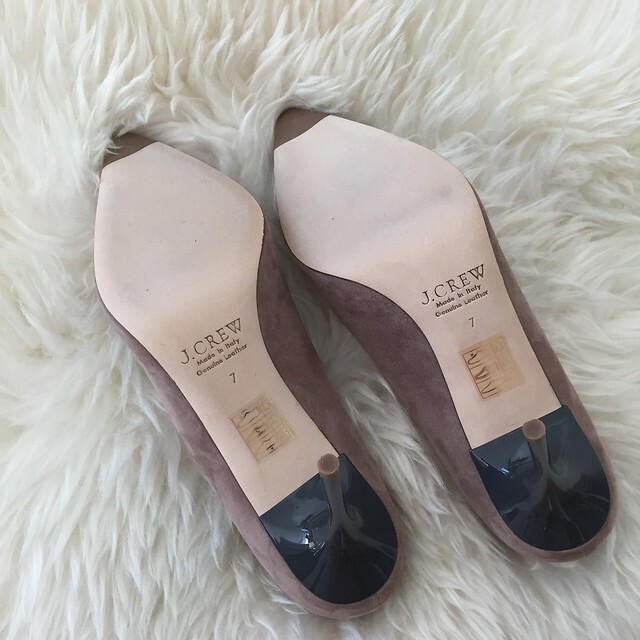 I actually haven’t bought pumps from J.Crew since this post and I still reach for the Sloane patent pumps and cap toe pumps. I regret not getting a backup pair of the patent pumps and I’ve been stalking eBay for another pair to no avail.